High precision bore, undercutting of tone holes carried out according to BUFFET CRAMPON strict specifications, keywork in nickel silver, pre-plated in copper, then silver plated, cold power forged, rods and pivot screws in stainless steel and fine tuned, pointed needle springs and Gore-Tex pads for optimal performance. Special blend of ebony and carbon fibre, will not crack! 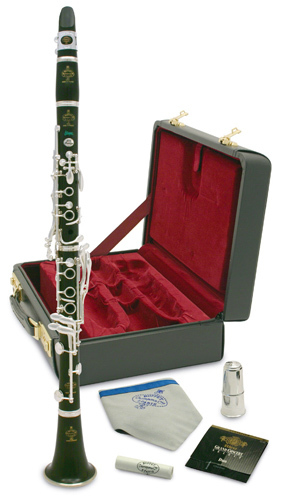 silver plated keywork, coned bell, adjustable thumbrest, Gore-Tex pads, polished bore and tone holes, engraved silver name plaque on top joint, supplied with a hard case.